The next time you’re shopping in-store or online, you might be able to choose to hold off on paying until a later date. A new service called Laybuy is the latest ‘buy now, pay later’ offer to launch in the UK, joining rival Klarna. But how safe is it use? New Zealand-based firm Laybuy lets you buy items with selected retailers and spread the cost across six weekly interest-free payments, and it’s about to launch with a major retailer in the UK. But while no interest is charged, there are penalties if you fail to make a payment, and the way you manage this line of credit will be reported to credit reference agencies. Which? looks into how Laybuy works, the growing trend of short-term borrowing options aimed at millennials and the risks to watch out for when choosing them at the checkout. Laybuy is a payment platform which launched in New Zealand in May 2017 and is run by father and son duo Gary and Alex Rohloff. In just 18 months, around 500,000 shoppers have signed up and the firm has partnerships with over 3,000 online and physical stores, ranging from clothes shops to cricket bat retailers. The Rohloffs say the service puts a modern twist on ‘lay by’ – a practice popular in New Zealand, Australia and the US where shoppers pay for goods in instalments but don’t receive the items until all the payments are made. With Laybuy, shoppers own the item straight away. Laybuy has now set its sights on the UK with a soft-launch in the UK in October last year. So far, it’s teamed up with around 70 lesser-known UK retailers such as Gym Versus and Bailey Nelson. It also currently offers UK shoppers the chance to spend with around 280 retailers operating in New Zealand and Australia. However, the firm is promising to unveil a major retail partnership in the next fortnight with its official UK launch. 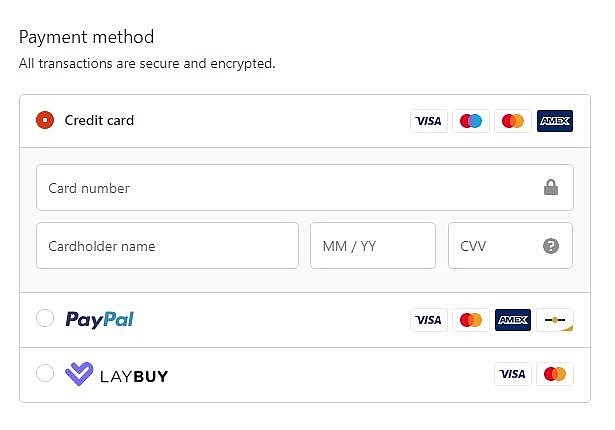 When shopping online and soon in-store at participating retailers, you can select Laybuy at the checkout and instruct it to pay for your item or service. Anyone aged 18 or over can open a Laybuy account. You just need to provide your name, address, mobile number, and debit or credit card details. 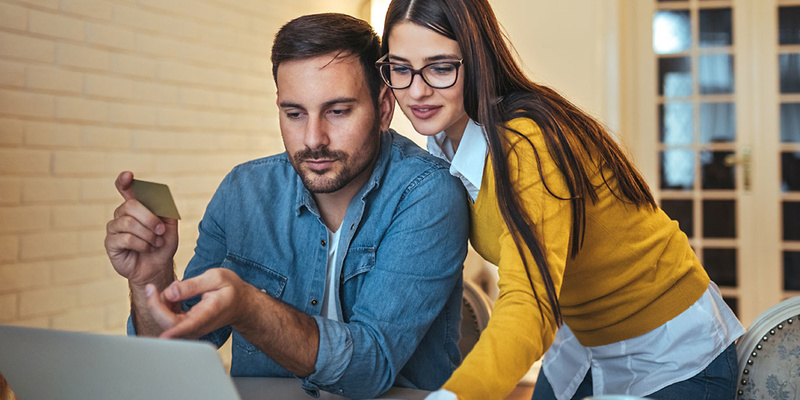 A hard credit and affordability check will be carried out with Experian at this point, which will be visible on your credit history, according to Rohloff. Depending on your credit score, a credit limit of between £60 and £600 will be agreed. If you’re accepted, you’ll need to pay a sixth of an item’s purchase price upfront. The remaining five payments are then charged weekly on a day of your choosing. For example, if you purchase an item on Friday for £60, you will pay £10 upfront and then can opt to pay a further £10 on each Friday in the following five weeks. On an average transaction, UK shoppers are borrowing £102, Laybuy claims. Gary Rohloff told Which? it has two main groups that use its payment facility: those aged 22-32 (of which 25% male and 75% female) and those aged 45+ (30% male and 70% female). If you fail to make an instalment payment when it is due, Laybuy will give you 24 hours before charging you a default fee of £6. If the debt is unpaid after seven days, you’ll be charged another £6 fee. Should your payment become 30 days overdue, Laybuy will arrange for a debt collection agency to collect the amount you owe and it will report the default to credit reference agencies. Rohloff told Which? that Laybuy currently has a default rate of less than 1% and when a customer is late with a payment their account will be suspended so they can’t continue spending. In the UK, the other major ‘buy now, pay later’ firm that has soared in popularity is Swedish firm Klarna. It’s been operating in the UK for four years and has partnerships with more than 3,000 retailers, including Asos and Schuh. Shoppers that select Klarna to pay will undergo a soft credit and affordability check, which is not visible to other lenders, with TransUnion (formerly CallCredit) and Experian. If you’re approved for the purchase, you could get between 14 or 30 days (dependent on the retailer) to pay for your online order. Alternatively, you could go for its new ‘Slice it in 3’ option which allows you to spread the cost of more expensive purchases ranging from £250 to £800 over three months. With Klarna’s service, a missed payment won’t involve any charges. However, it will pass the debt onto a collection agency after 120 days and report it to credit reference agencies, making it more difficult to borrow in the future. Those using ‘Pay Later’ are reminded via email to make payments or you can set up automated payments through the Klarna app. With Klarna’s ‘Slice it in 3’ option payments are taken automatically and split into three instalments. The first is taken at the point of sale, the second 30 days later and the third after 60 days. Using Laybuy and other ‘buy-now-pay-later’ platforms could encourage you to spend more than you normally would on things like clothes and entertainment. While Laybuy says it will stop people that default from spending more, those that get into trouble could turn to other high-cost expensive overdraft or turning to other high-cost credit like a payday loan to make the repayments. When given the option to ‘pay later’, you should really think about whether you can afford what you are planning to buy and repay it within the six weeks. With Laybuy, your repayment dates will be locked in from the moment you make the purchase. You won’t be able to stop payments being charged to your debit or credit card, which means you won’t be able to prioritise other payments like your rent or mortgage if things get tight. It’s also worth pointing out that Laybuy may not always be the safest way to pay for larger purchases. Laybuy told Which? it would cancel the debt if a retailer went bust or anything went wrong with the order. But if you use a credit card instead, you’ll benefit from Section 75 protection, which guarantees you a refund should anything go wrong. ‘Our research shows that the majority of people budget weekly and so Laybuy provides people with the option to make desirable purchases, within the confines of their weekly budgets. Whether it’s parents buying three sets of school shoes, or bargain hunters making the most of time-limited deals on experiences or holidays, our customers choose to use Laybuy as a safe, alternative and more flexible way to shop,’ Rohloff told Which?. Have you used Laybuy or Klarna to make a purchase? What was your experience? Did you run into any trouble with your credit history or run up unmanageable debts? Did you accidentally use the payment option at the checkout or had any problems with trying to pay back what you borrowed? We want to hear from you. Contact money-letters@which.co.uk with your story.